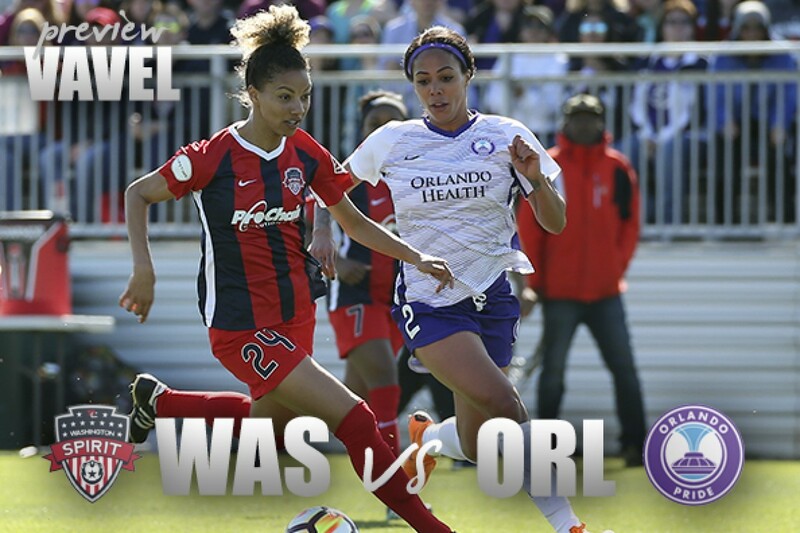 The Washington Spirit will host the Orlando Pride in Boyds, Maryland on ESPNEWS Saturday June 23 at 7PM EST. 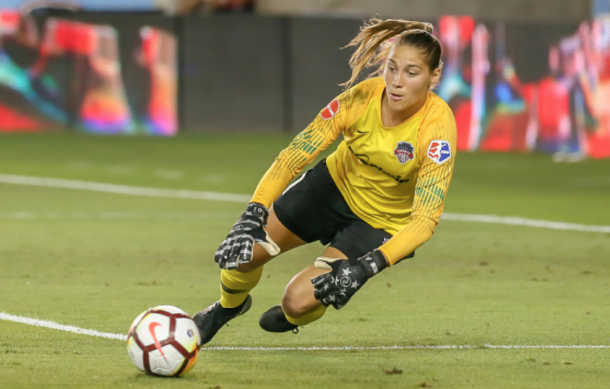 The Washington Spirit are coming off a scoreless draw against Seattle Reign FC last weekend. The draw against Seattle is the second consecutive game the Spirit played to a 0-0 draw. Currently the Spirit are in the eighth spot in the table, eight points ahead of last place Sky Blue FC. 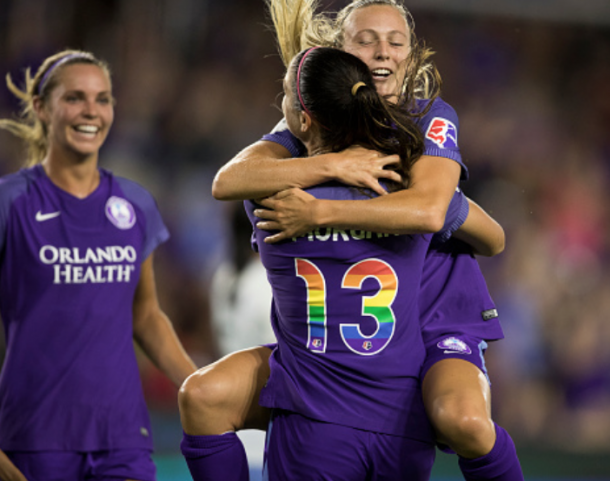 Orlando Pride have earned points in their last three matches and edged Sky Blue FC last weekend 3-2. The Pride currently are tied with Seattle for the second spot in the table with 19 points. This will be the second meeting of three between the two teams. Back in March, Washington earned a 2-0 victory against Orlando off goals from Mallory Pugh and Ashley Hatch in Boyds, Maryland. The Spirit are winless in their last four matches and scoreless in their last three. Washington own the second lowest goals scored in the league with 10. The last time a Spirit player tallied a goal was Ashley Hatch in the 91st minute of a 3-2 loss at Houston Dash on May 27. Quality players like Rose Lavelle, Andi Sullivan and reigning Rookie of the Year Ashley Hatch are capable of putting the ball in the net but have struggled all season. Internationals Estefania Banini (Argentina) and Francisca Ordega (Nigeria) are skillful players who are capable of scoring as well. Ordega and Hatch share the lead in goals for the Spirit with three. On the backline, Taylor Smith has started every match this season while Estelle Johnson is playing well leading the team in clearances. The headliner of the Spirit defense is goalkeeper Aubrey Bledsoe who earned the Week 11/12 Player of the Week award. Bledsoe combined for 13 saves in her two clean sheets against Sky Blue FC and Seattle Reign. She has four clean sheets and leads the league in saves. The defense and Bledsoe will have to hold strong against a formidable Orlando Pride attack. The Orlando Pride have played well this season after a slow start. Orlando have only lost one match in their last nine and are unbeaten in their last three. Within the last month, Orlando have scored 11 goals in the last three matches. Rachel Hill, Chioma Ubogagu, Sydney Leroux have been responsible for the majority of these goals. The trio lead the team in goals with four and show no signs of slowing down. Midfielders Christine Narin and Australian International Alanna Kennedy have played well creating chances for Orlando. Narin leads the league in assists with four. Orlando has not had to lean on Brazilian superstar Marta this season but she always needs to be marked as she can create chances from anywhere on the pitch. If there is any weakness on the Pride, the defense has at times struggled. Although Canadian International Shelina Zadorsky has been steady leading the team in starts, passes and clearances, playing every minute of every game this season. Ashlyn Harris has also been steady in net earning 3 clean sheets and is near the top of the league with 36 saves on the season. Washington Spirit will host the Orlando Pride Saturday night at on June 23. The game is the NWSL game of the week and will be broadcast on ESPNEWS at 7:00 EST.